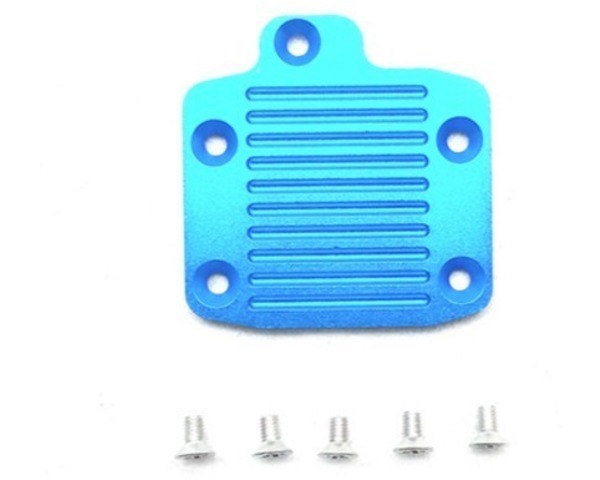 This is an aluminum heat sink that is designed to be mounted onto the Tamiya DB-01 or DB-02 off-road chassis. The part was originally exclusive to the DB-01RRR kit. Set Contents: Attaches to motor mount and chassis, helping disperse heat for more efficient operation. Made from light weight, rigid aluminum. Snug fit to chassis helps keep out dust and dirt. Compatible with DB01RR, DB01RRR, and DB02 chassis cars. Use with DB01 chassis requires Item 54537.